Since October 2014, there has been a veritable rapprochement between Lyon and Boston (United States) and the international start-up program, BigBooster, was organized for the first time in 2016, providing a bridge between Europe and North America through Lyon and Boston. This program aims to facilitate the international development of young start-ups developing breakthrough innovations in the fields of health, digital, ecological and societal environment or sustainable development. It is the first non-profit international acceleration programme jointly run by two cities in Europe and the USA, and now on 4 continents. In April 2017, the 4 winners of BigBooster 2 were revealed during Innovation Week in Lyon. Also held during this event were: Biovision international forum, the Internet Showroom of Objects or SIdO, Lyon’s Industry Exhibition and the BigBooster final. The award-winning start-up InTouch won the jury’s votes, along with FineHeart, Gulplug and Sylfen, which distinguished themselves in their respective categories (Bio & Health, Innovative Tech and Global Impact). Nicolas Bardi, President of Sylfen, explained: “Being part of the Boston selection was already a huge success for us, it also allowed us to understand the challenges of internationalization. This Season 3 will have new features. Indeed, BigBooster is encouraging start-ups to cross borders this year by adding two new areas to the program: China and the Middle East and Africa (MEA). 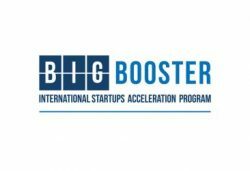 The aim of BigBooster is to encourage start-ups to design their project in a comprehensive manner very quickly, with the support of coaches, mentors and experts recognized to deploy internationally and optimally. The call for applications is now open: if you have a tangible project with a proof of concept or a prototype, an international vision, and you want to accelerate your development thanks to innovation ecosystems, take the plunge and join Season 3 of BigBooster!